Motivated by a collaborative ethos and encouraged by “citizen researchers,” Sarah Hearn’s residency project for the Concept/OK: Art in Oklahomaexhibition relies on collaboration with many enthusiasts and professionals. Hearn counts on you to join in too and made sure attending the exhibition does not limit participation. Already 24 individuals have gathered lichen samples from all over the world. Hearn will study, classify, and illustrate the samples which will appear in the project and be rewarded by artwork by Hearn. See her call for lichen samples, which will remain open until February. 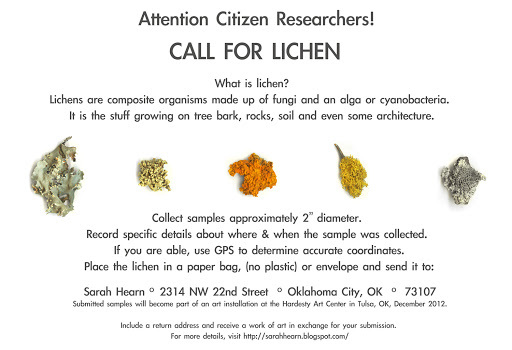 Hearn will donate lichen samples to the University of Central Oklahoma’s Herbarium after the exhibition ends. For those that want to see lichen in situ, Hearn will lead a group on a free nature walk at Oxley Nature Center on December 1 at 3 pm. She will help attendees search for and gather small amounts of native lichen specimens and prepare them for exhibition. Participants will learn about photographic processes to record, document and study lichen in a two-day workshop for adults on “lichenography” in January. Hearn will address historical and unconventional processes. Participants will assemble a hand bound field books for collecting and preserving specimens, photographs and drawings. 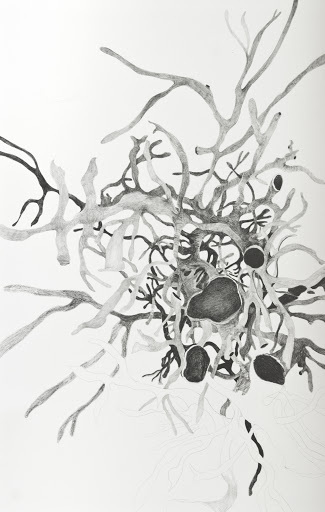 Visitors may watch her draw a large-scale work on site in the community studio December 15. Watch www.concept-ok.org for more on public events. Read more in this Art Focus Oklahoma magazine article or on Hearn’s own blog sarahhearn.blogspot.com. The Concept/OK: Art in Oklahoma exhibition opens December 16, 1-5 pm at the new Tulsa Arts and Humanities Council’s Hardesty Arts Center. See www.concept-ok.orgfor more information. Before catching up with Momentum Tulsa artist Kurt Nagy, I pontificated the meaning of his work, BNE Was Here. As it turns out, BNE is a well-known street artist who advocates clean water and positive social change globally. 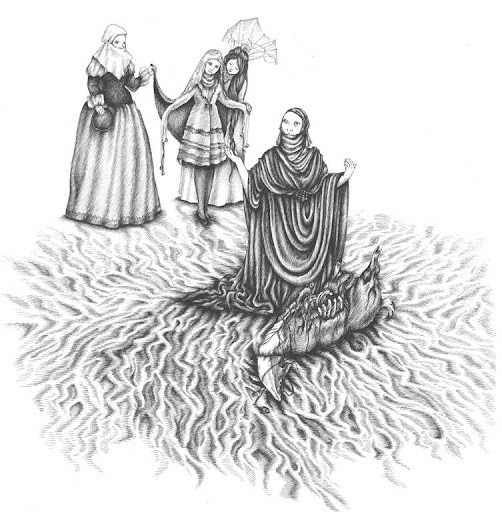 The image itself is inviting and intriguing to say the least. Set in some nondescript Asian neighborhood a white traffic arrow directs the focus toward the foreground and pushes the viewer out of the space. The eye is then drawn back into the scene via the narrow alleyway, creating a perpetual movement within the scene that allows the viewer to enter and re-enter the street continuously. Cierra Linander: Where is “Here”? 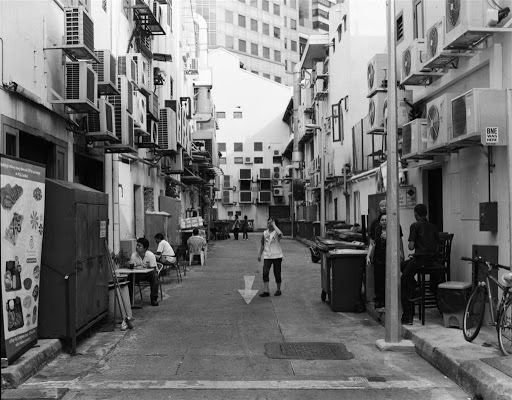 Kurt Nagy: It the photo is of an alley in Singapore. The city offered much architecture and culture to capture. CL: I see the famous “BNE Was Here” Sticker on various window units, what inspired you to promote BNE? Are you otherwise involved with the BNE Water Foundation? Nagy: It was coincidental. The shot is visually stimulating and he thought the sticker’s phrase made for a great title. CL: What photographic process was used to capture this image? Nagy: Traditional black and white darkroom photography. 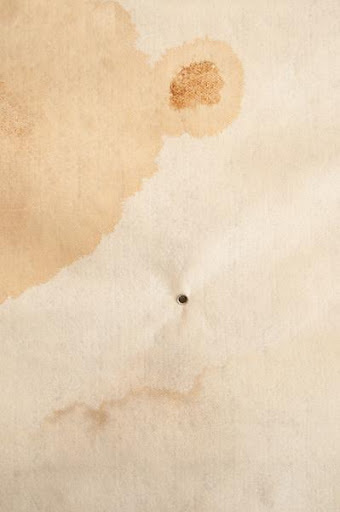 The image is printed on fiber paper. Oklahoma City native Kurt Nagy studied Photographic Arts at the University of Central Oklahoma, specializing in traditional darkroom and alternative processes. Momentum Tulsa opens October 13, 8-midnight with a ticketed event full of music and performances. Curated by Raechell Smith from H & R Block Art Space at the Kansas City Art Institute and emerging curator Laura Reese, the exhibition continues at Living Arts of Tulsa, 307 E Brady with free gallery hours through October 25, 2012. 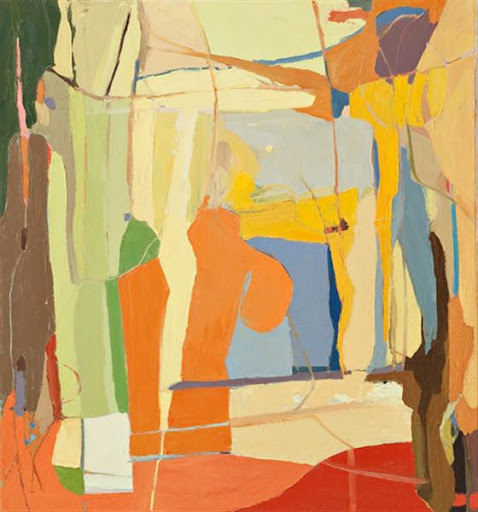 University of Oklahoma’s MFA candidate Spencer Ulm incorporated his (almost exclusive) history of portraiture with abstract elements to create Framing 1 and Framing 2, selections from Momentum Tulsa 2012. After completing his undergraduate studies, Spencer noticed his inclination toward the construction of frames and stretching of canvases and began to explore this surge of creativity. 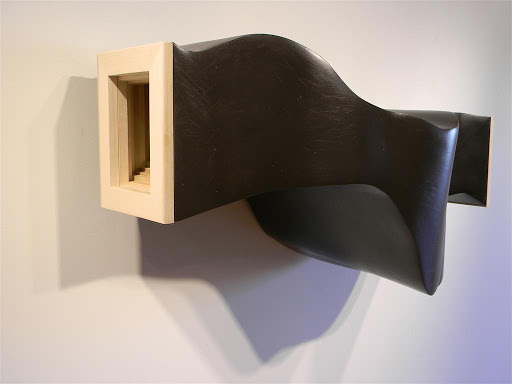 The titles of the pieces derive their name from the components in which they are comprised: frames. For Framing 1, Spencer layered 38 frames, including the standard portrait sized 6”x9” frames used to cap the ends, while Framing 2 utilizes nearly 70 different stacked frames. The exteriors of both pieces are coated with body filler, which is what gives it the smooth, finished look. The biomorphic, abstract shapes produced from this process intrigue the viewer, as they do not resemble a mere stack of frames. The struggle between idealizing the finished exterior versus the rough, process-laden interior creates a dialog for Spencer, which ultimately examines his entire experience as an artist- “what is more important? This general idea that the polished exterior of a beautiful piece is where the artist’s passion lies? Or is it the construction, the trial and error?” By questioning the very nature of portraiture, Ulm is able to further expand the definition through his Framing series. 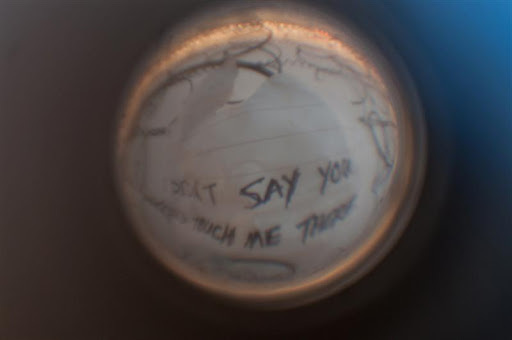 Forming words through symbolic actions and sculptural elements, Samantha Dillehay will debut her project “Secrets” on October 13. 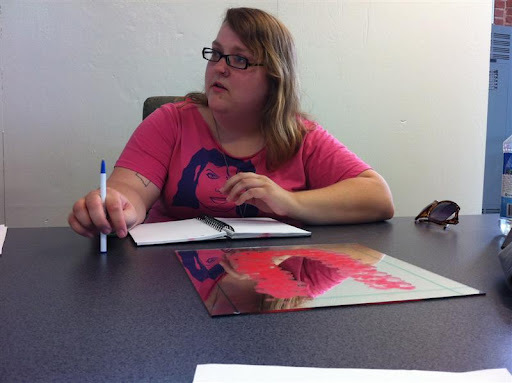 She is creating the new work as part of the Spotlight award for Momentum Tulsa. Her project includes three large pieces with varied materials, from a lipstick covered mirror to clothing hangers. Her choice of materials underscores her selection of text, exploring identity within personal relationships. 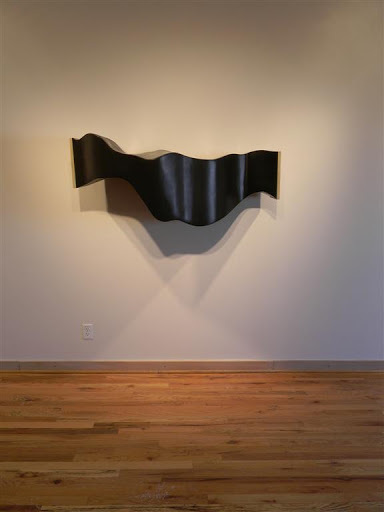 A recent MFA recipient from the University of Oklahoma, Dillehay has exhibited extensively in Oklahoma and her former home state of Tennessee. Watch Dillehay’s feature video on YouTube or see this article in our Art Focus Oklahoma magazine for more about all three Momentum TulsaSpotlight projects. Momentum Tulsa opens October 13, 8-midnight with a ticketed event full of music and performances. 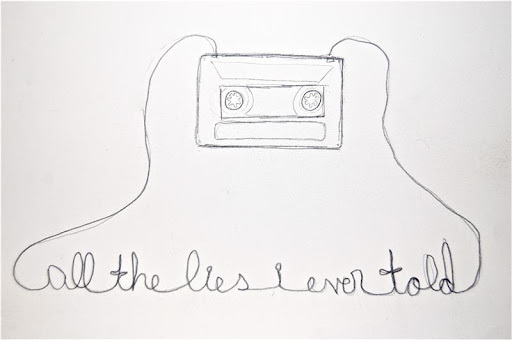 Curated by Raechell Smith from H & R Block Art Space at the Kansas City Art Institute and emerging curator Laura Reese, the exhibition continues at Living Arts of Tulsa, 307 E Brady with free gallery hours through October 25. Developing 20 new drawings, Amanda Sawyer received the Spotlight award for Momentum Tulsaand will debut her project “vocem” on October 13. 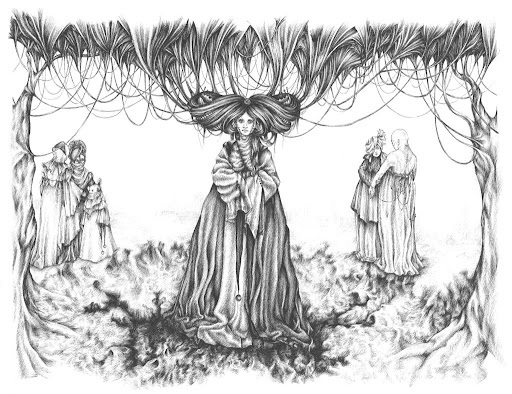 Sawyer said, “My work consists of improvisational drawings taken from traditional Christian folklore, animalistic or organic forms such as vines, horns, teeth and bone, and manmade objects of restrictive clothing, elements of industry and symbols of class.” This body of work addresses her concerns about legislation on women’s health and working rights. Sawyer said she feels more strongly about the personal impact of policies now as a new mother of a daughter. 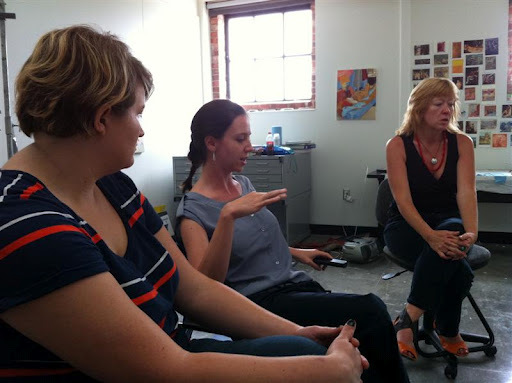 Sawyer received her BFA from Oklahoma State University in 2010 and has shown her work around the state. Watch this video to learn more about Sawyer’s work. You also can see this article in our Art Focus Oklahoma magazine for more about all three Momentum TulsaSpotlight projects. Exploring new scales and styles of painting, Libby Williams received the Spotlight award for Momentum Tulsa. She will debut her project on October 13. 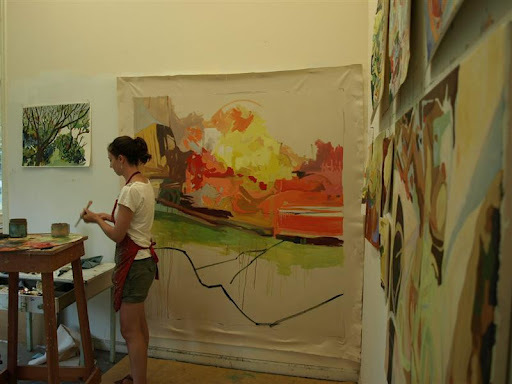 A current MFA student at the University of Tulsa, Williams spent much of last summer at the Chautauqua Institution in New York, painting for 12+ hours a day. 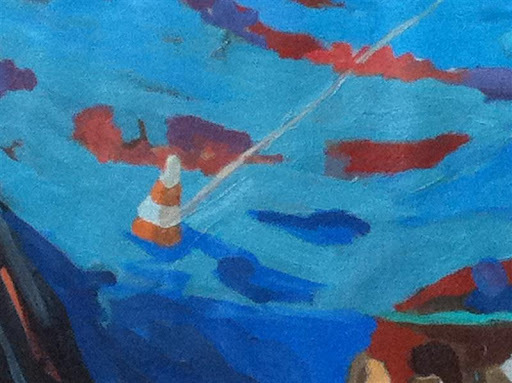 While there, she painted outside, which helped transform her style for this new work. She said that painting traditional plein air landscapes affected how she paints space. See this article in our Art Focus Oklahoma magazine for more about all three Momentum Tulsa Spotlight projects.